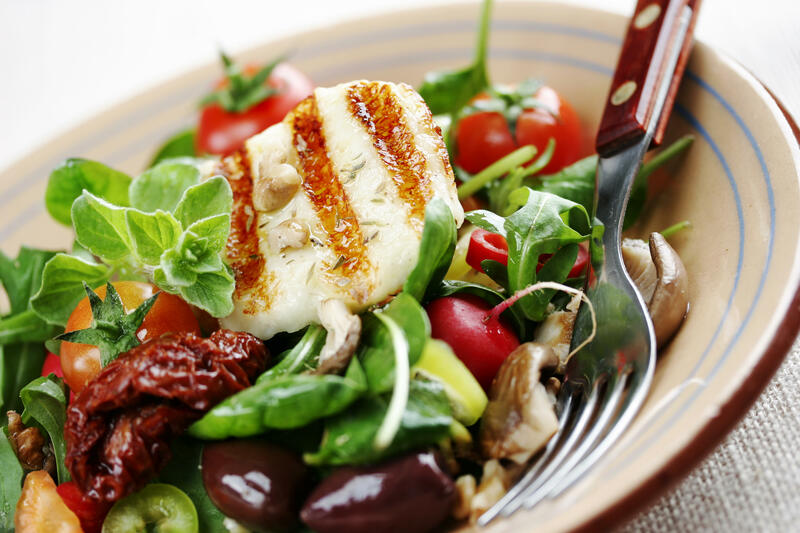 "It's tasty, it's sensible, nutritionally sound, and there's great research that it can help ward off or control a whole host of chronic diseases," Angela Haupt, assistant managing editor of health at U.S. News & World Report, said of the Mediterranean Diet. On the other hand, you should avoid fad diets that require you to adopt severe restrictions. The hot new Keto Diet got a raspberry from the U.S. News' panel of nutrition experts, tying for last on the list. "It really is the diet of the moment, but it can be a pretty extreme plan. There's a very strict carb limit. Our experts say it's not necessary to be so extreme or restrictive," Haupt said. "One expert said if a diet recommends snacking on bacon, you can't take it seriously as a health-promoting way to eat," Haupt said. The rankings come from an expert panel of the country's top nutritionists, dietary consultants and physicians, which evaluated 40 different diets across nine categories. The categories included ease of compliance, likelihood of short- and long-term weight loss, and effectiveness against chronic conditions like heart disease and diabetes. Both the DASH and Mediterranean diets allow people the flexibility to choose from a wide variety of healthy foods, so they can eat what best suits them, said Kelly Hogan, clinical nutrition and wellness manager of the Mount Sinai Hospital's Dubin Breast Center in New York City. The diets share a number of similar themes, Hogan said -- lots of colorful fruits and vegetables, whole grains, healthy fats, lean proteins, low-fat dairy, and avoidance of foods that are processed, packaged or high in saturated fats. "The DASH and Mediterranean diets are not excluding any foods or food groups or restricting anything," Hogan said. "I think that's really important when it comes to how a normal person eats in general." "There's a lack of good solid research on nutrition and diets in general, so it says something when a plan like the Mediterranean Diet is backed up with good solid research," Haupt said. Fads like the Keto Diet can cause quick weight loss, but a person can't maintain such eating restrictions, Haupt and Hogan noted. "Weight Watchers offers the flexibility to shape your own diet," Haupt said. "You have to stick to guidelines about how much you're consuming every day, but what does that look like? You can eat what you want. There are no foods that are off-limits." "We know that having that support, having people to talk to and staying accountable to a plan is really important," Haupt said. Hogan said Weight Watchers is great for people who've never really taken stock of their regular eating patterns. "For someone who is just starting to pay more attention to what they're eating, something like a Weight Watchers can be helpful for them to start to understand things like that," Hogan said. Dieters who want to succeed long-term need to take a hard look at themselves and what's important to them, Haupt and Hogan said. "If you are somebody who loves restaurants, don't pick a plan that makes you toil at home over the stove," Haupt said. "If you like wine and you select a plan that completely forbids it, that makes it that much more likely that you won't be able to last on that diet." "My hope this year will be a focus on what you should eat rather than what you shouldn't eat," Hogan said. "There's no one food that most people can't eat. We should focus on what we need more of and nourish our bodies that way."